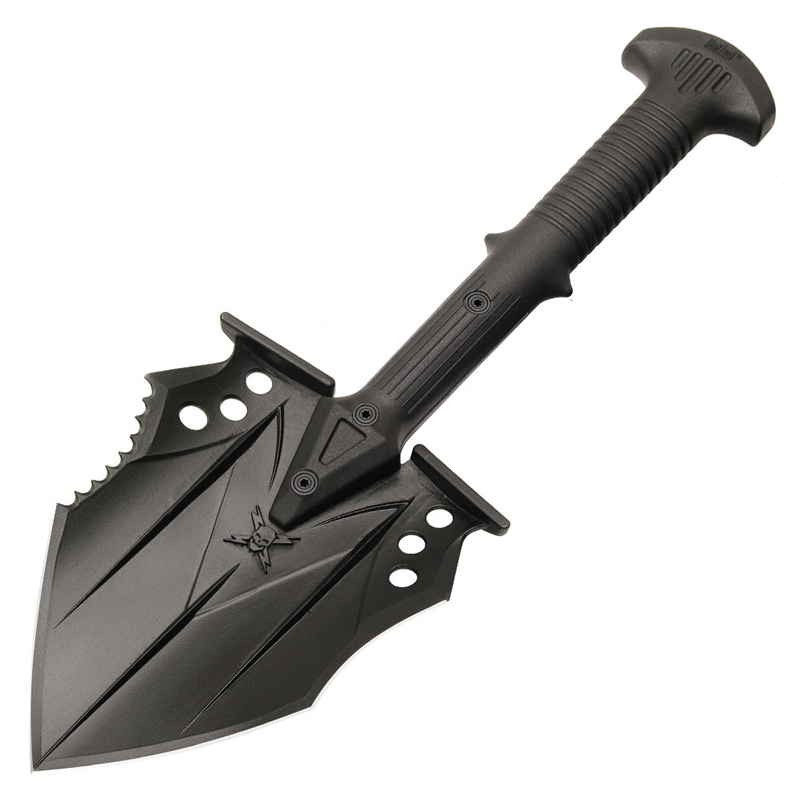 The ultimate tactical shovel that also doubles as a defensive weapon! 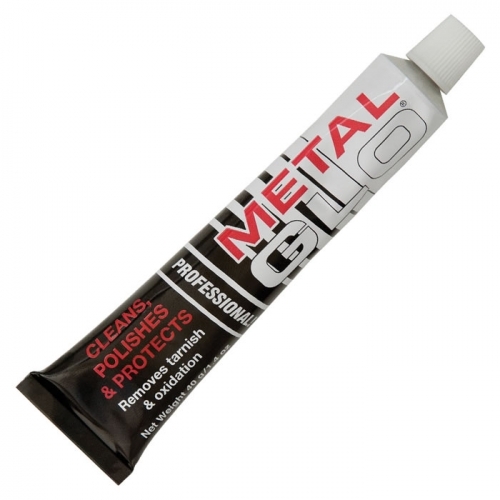 Features virtually indestructible, injection-molded nylon handle with 30% fiberglass & nylon reinforcement. 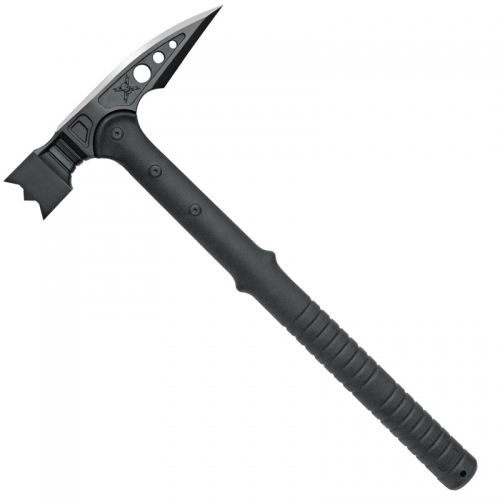 The shovel head is made of tempered 2Cr13 stainless tool steel with a hard, black oxide coating. The shovel point edge is sharpened, with a partially serrated edge on one side, and a concave chopping edge on the other. 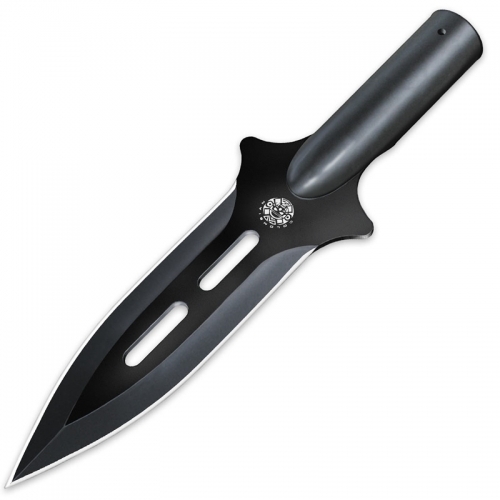 Perfect for camping and outdoors use, light chopping, or for use as a defensive weapon in an emergency situation. 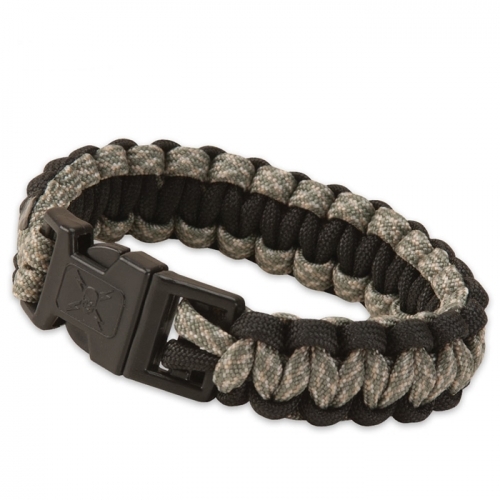 Includes a reinforced nylon belt pouch.